It's too windy today for a fresh photograph, so let's look at some moths from the archives. 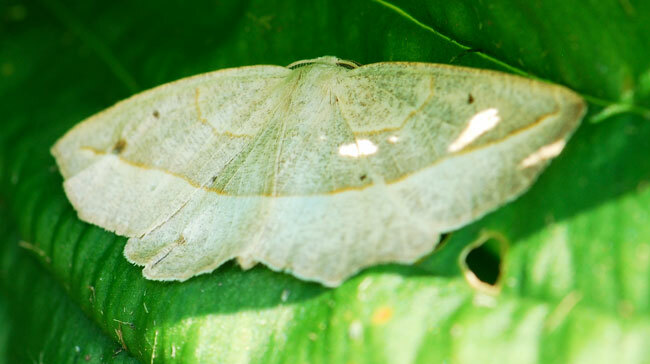 Some moths are good at camouflage. As you might imagine, the brown moth above would be completely hidden on the bark of a tree. 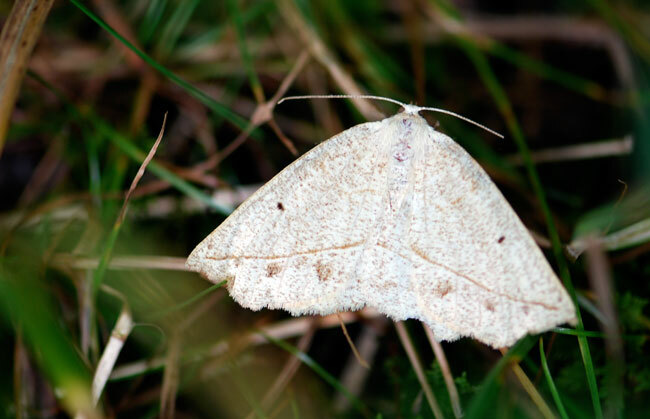 Other moths don't appear to use camouflage. 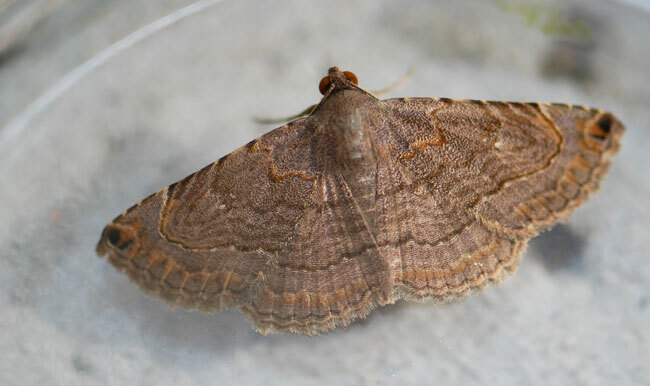 For example this white-winged large lace-border, Scopula limboundata stands out against the dark green background. It is not blending in. So, is this moth in disguise? 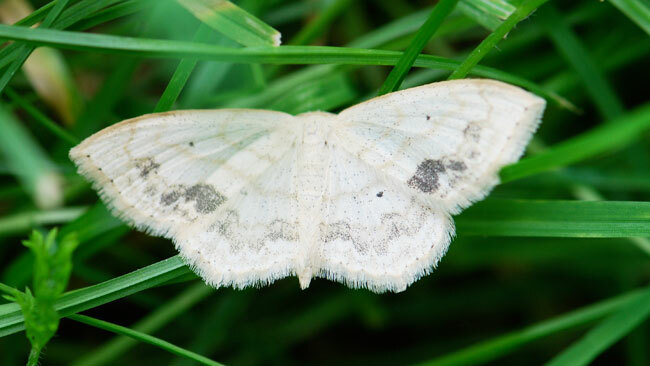 It sits completely still on dark green vegetation with its wings outstretched. Nothing could be more obvious. Maybe from this direction the coloration makes more sense. Doesn't it look like a dead leaf? The patterns do look a bit like leaf veins. What do you think? 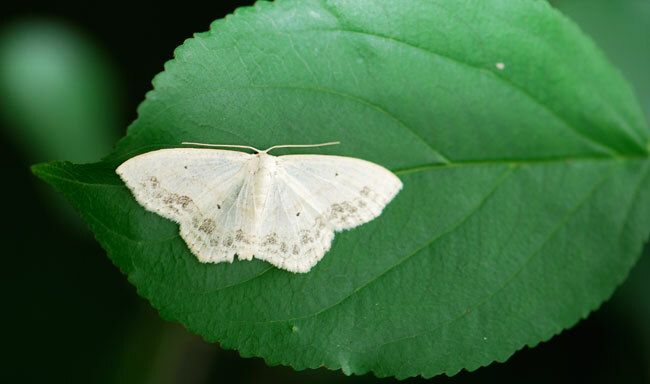 These moths belong to the family Geometridae. 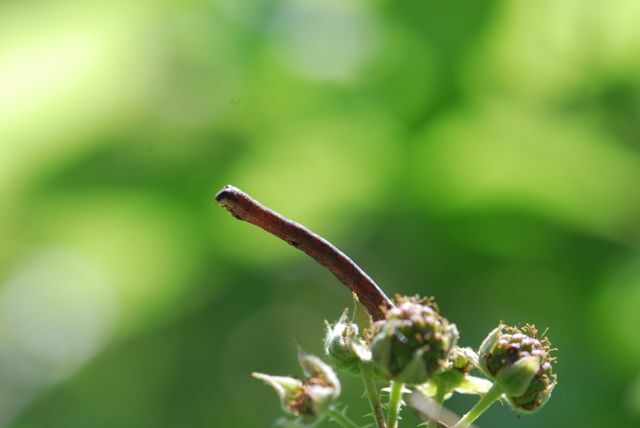 Their caterpillars can also be masters of disguise. "Nothing to see here," the caterpillar says.